WELCOME TO THE RUNAWAY HORSE! The Runaway Horse founder and handicapper Jarrod Horak specializes in California thoroughbred racing. Nicknamed "calkid" in the 90's by his racetrack buddies because of his penchant for the Southern California racing circuit, Jarrod hit the 1996 superfecta in the Kentucky Derby and bought his first computer later that year. He started selling full card analysis in 1998 and has been going strong ever since. In addition to full cards, which can be found on the Sales page, The Runaway Horse also features free picks, horse racing news, Kentucky Oaks and Triple Crown 2019 contenders. Please use the page tabs above to navigate the website and good luck at the races! 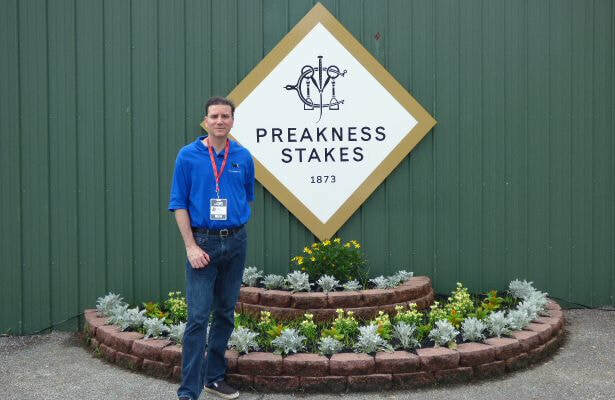 You can listen to Jarrod each weekend on The Fast Track Radio Show with host Steve Bortstein, and you can find his daily best bets at Horse Racing Nation. Also, check out his weekly handicapping videos at Today's Racing Digest.